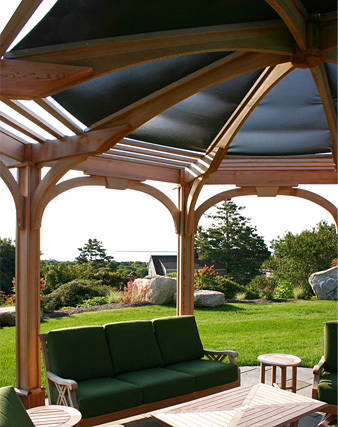 A very interesting pergola was created as a focal point and framing device for a stunning location overlooking Nantucket Sound. 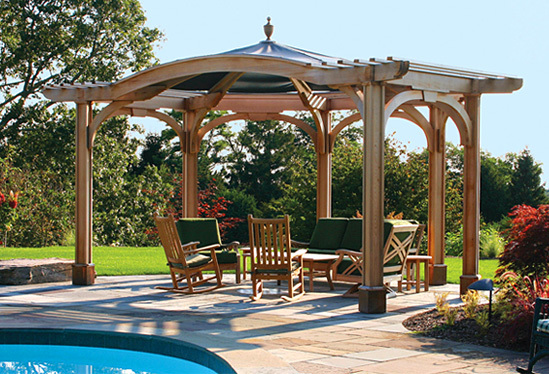 The pergola, in plan view, is a hexagon that has been partially "cut away" thereby creating a large open front, while providing a shaded seating area adjacent to the pool. The arches and brackets reflect forms employed in the architecture of the house. 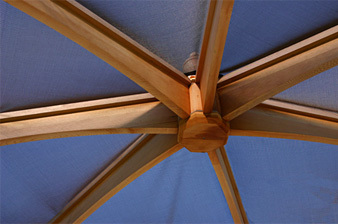 The center section has five shade cloths that fit the triangular openings. The posts have copper plinth bases that protect the cedar closest to the bluestone from darkening. Style, correct proportioning and attention to details in craftsmanship and design make this a winning structure. 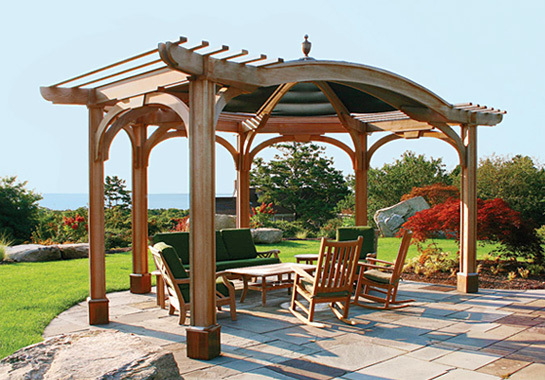 The pergola sits adjacent to one of the most spectacular kettle pond gardens on Cape Cod.